DC Comics rolls out a new chapter in Rebirth with DC Nation #0. Previewing the future of the DC Universe, three of the best writers in today’s comics share three different stories to springboard fans and new readers alike to the next phase of the Rebirth Initiative. Love is easy, love is kind, but here comes the Joker, just right behind. 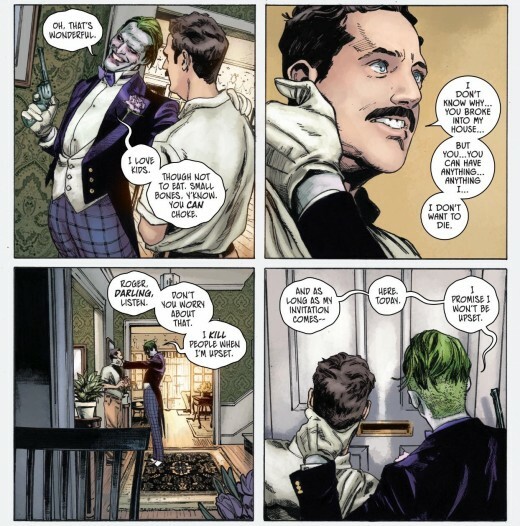 Tom King furthers the wedding story by incorporating the Joker into the fray. Behind every “super” man is a “super” woman. In the absence of Lois Lane, can the Man of Steel confront his many challenges alone? The walls have fallen and the DC Universe is exposed to Celestial-level threats. Can superheroes and villains coincide with the survival of the multiverse? Your Big Day is something old. This story is tied with the long-awaited wedding of Batman and Catwoman. However, there is nothing new talk about. We’ve been talking about the same thing ever since Batman proposed in Batman #24. The anticipation of the wedding has been too long that fans are getting weary of waiting. 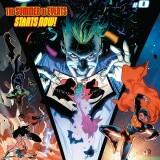 The great thing about this story is the magnificent artwork by Clay Mann. Something new. This is the first time I’ve seen an abductee stood up to the Joker. Nothing really special but it was one of the highlights of the story. It doesn’t sound good when one of the highlights of the story does not revolve around the main characters. Something borrowed. Tom King used elements from his previous stories and tried to integrate it into the story. Something blue. Never forget to wear blue or the Joker will get you. Brian Michael Bendis never fails to impress a lot of readers. In Office Space, his character-building stories prove to be what the Big Blue desperately needs. This is not to say that Superman has a simple world around him, rather Bendis creates a bigger world for Superman to encounter. 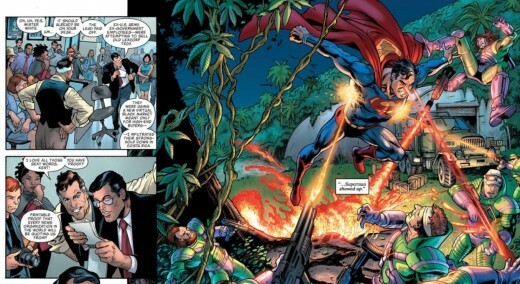 Office Space is a preview of Bendis’ Man of Steel. From this story alone, he has already set-up multi-level stories that will surely appeal to Superman fans and comic book readers. Moreover, there is a new character introduced in this story. His/her involvement in Superman stories is easy to appreciate as he/she adds another layer to the intricacy of the story. Many years in the business and Jose Luis Garcia-Lopez’ art is still great. While Alex Sinclair’s colors are also great, his color pallet doesn’t bode well for Garcia-Lopez’ line art. Would be great to see flatter colors to compliment the artwork. Team Entropy, Team Mystery, Team Wonder, and Team Wisdom. Ever wonder how the Justice League came up with these team names? 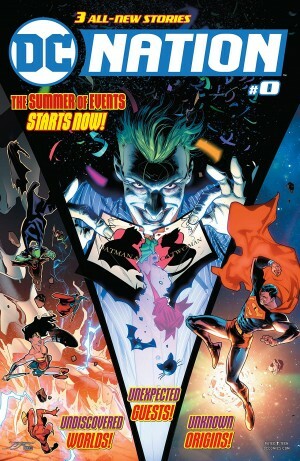 All is answered in No Justice: Prelude. DC Dark Nights Metal has left a lot of questions rather than answers. Fortunately, No Justice: Preludes provides some answers to those questions left behind. With the Justice League splitting into four teams and teaming up with villains, the stability and the chemistry of the League is put to the test. Will they overcome impasse for the survival of Earth or will they crumble down to the celestial beings outside of The Wall? The involvement of many writers in No Justice can lead to a lot of inconsistencies in the story. While nothing is evident in this story, inconsistencies might show up when the weekly-series hits the shelves on May 09, 2018. Art by Jorge Jimenez is pretty amazing. The colors do not only highlights Jimenez’ line art, but it also provides depth which is appealing to the eye. The four celestial beings make their full appearances in this story, don’t miss out! DC Nation #0 is everything that it claims to be—a jump-off point for new readers and a springboard to further develop current storylines in DC Rebirth. Overall, the stories are good, fun, and energetic. You wouldn’t want to miss out on this issue!